They are essentially creating part-human, part-robot test subjects. With all the advances being made in robotics in terms of capabilities, it was only a matter of time before researchers took it one step further, making robots look more human. That’s what a pair of biomedical researchers at the University of Oxford are hoping to do, anyway. 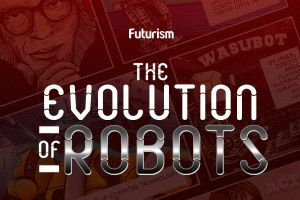 In a report published in Science Robotics, Pierre-Alexis Mouthuy and Andrew Carr assert that the time has come to begin building robots with real human tissue. Not just for looks, either: using humanoid robots would be ideal for advancing our understanding of muscle and tendon grafts, and refining the technology used to develop them. To engineer tissue, scientists use bioreactors filled with nutrients and chemicals that can grow sheets of cells. Cells in muscles and tendons, however, require the ability to be stretched and moved by the skeleton — a mechanical component that bioreactors are unable to mimic. Because humanoid robots are capable of mimicking human movement, they would prove an excellent tool. They can essentially serve as a “humanoid-bioreactor system”, and the tissue could develop with a little structural help from the robots, more or less the same way it would on a human skeleton. “The ability of humanoids to freely interact with their environment and real objects could be an advantage compared with desktop bioreactors. This may provide more realistic stresses to tissue constructs and eventually achieve grafts with better functionality or with tailored properties,” Mouthuy and Carr explain in Science Robotics. In theory, a humanoid-bioreactor system can be built on top of the humanoid robot using muscles made with electroactive polymers. The developing muscles can essentially piggyback on the robot skeleton’s movement so the tissues get “exercised”. The robot skeleton would need to be covered in soft, stretchable sensors so that it can closely monitor the development of the tissues. Following this method, it’s likely we will likely end up with a robot that looks like the Kenshiro robot developed in Tokyo, where its actuators closely copy human movements. In other words, a Terminator-like humanoid robot where a metal skeleton would be covered in human muscles, tendons, and skin. The researchers assert that not only do we have the technology to make this happen, but that it likely will. Given that it would be scientifically relevant, and has numerous applications in regenerative medicine and other fields, it looks like we could be mingling with robot lookalikes sooner rather than later.